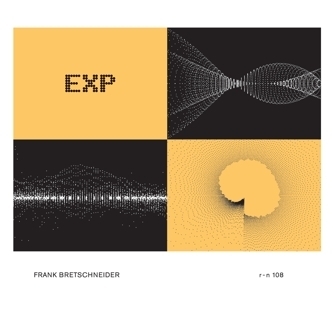 Raster Noton's rhythmic auteur, Frank Bretschneider, presents his first album in three years, a "music-visual project based on the idea that fine art should attain the abstract purity of music". 'EXP' is an attempt to assimilate the qualities of music, namely rhythm, movement, tempo, mood, intensity and compositional structure within the visual aspect. The music for the project is arranged from an array of generated and selected waveforms sourced from pure electricity, magnetism, light and other radiation. These sounds inform the visual animations, paralleling their changes in frequency, intensity and shape, attempting to exactly reproduce the audible occurences. The album is divided between 35 tracks, each ranging between 13 seconds and nearly 3 minutes. 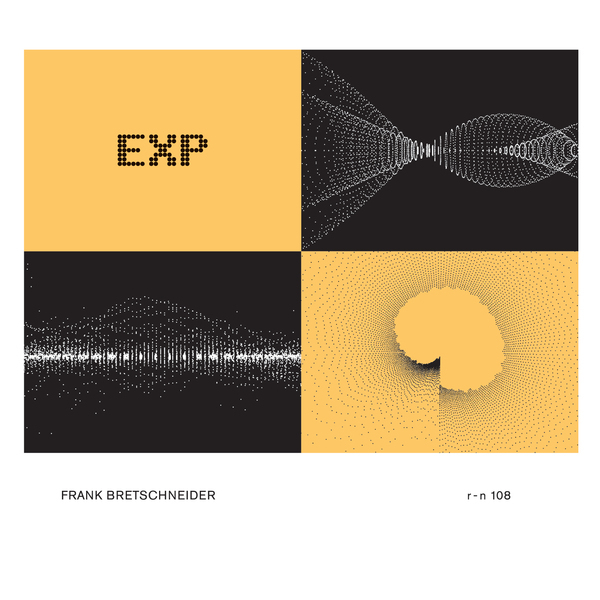 Living up to his reputation as a master digital craftsman, Bretschneider uses his abilities to sculpt cochlea engulfing bass tones and ultra-visceral hi's, occasinally arriving at moments where he creates the illusion of 3D electro-acoustic environments with spectacular depth perceptions. Between these hyperreal scapes and his avant B-boy beats this is a special album that should warrant repeat listens for those who really want to explore every nook and cranny of his artificial spaces. Very highly recommended.